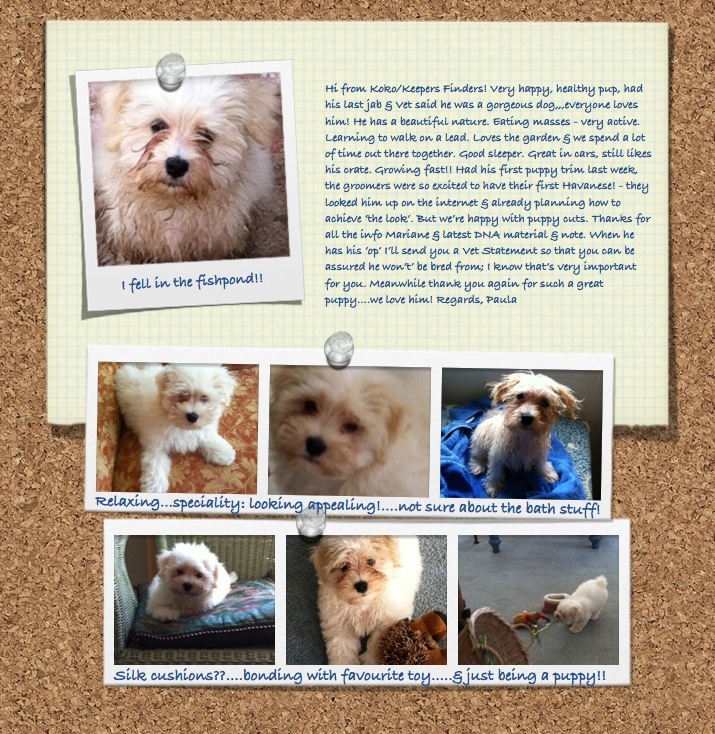 This page is dedicated to photos of Havanese which have found Happy Homes. Here are some before and after photos of April. 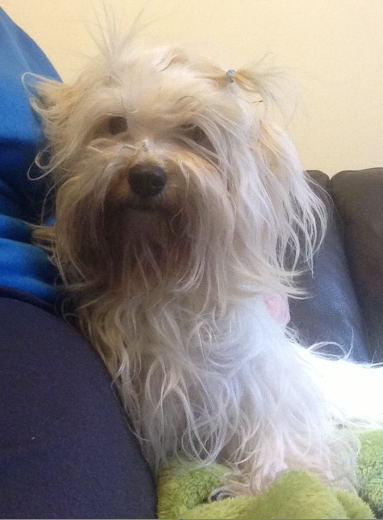 April loves a good rumble and play with her buddies, so she can then enjoy being pampered by her dedicated owner. April now lives in Canberra ACT Australia. 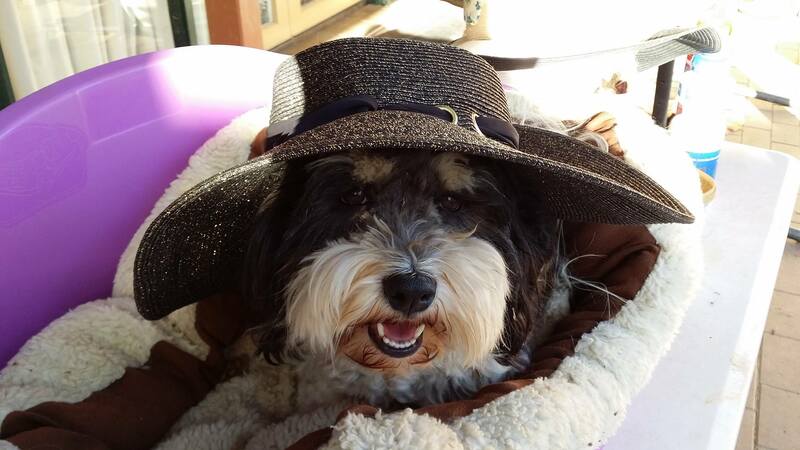 Havanese have a personality which is fun loving, cheeky and clown like. Here are some photos of ChaCha having a great time for the Melbourne Cup and Christmas celebrations. 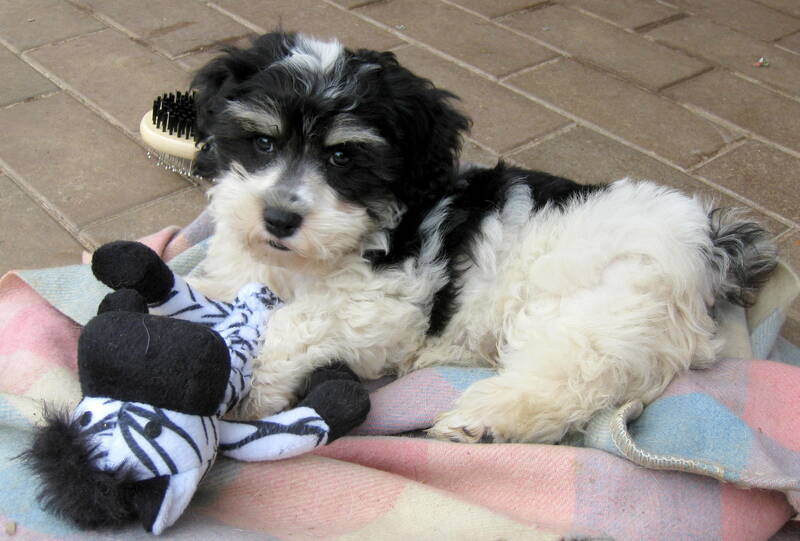 He is a black and white parti colour male Havanese, who lives in Sydney Australia. This is Buddy, a black and tan male, found a loving forever home in Sydney. He is pictured with his awards for best trick and most improved at Puppy School - congratulations Buddy. 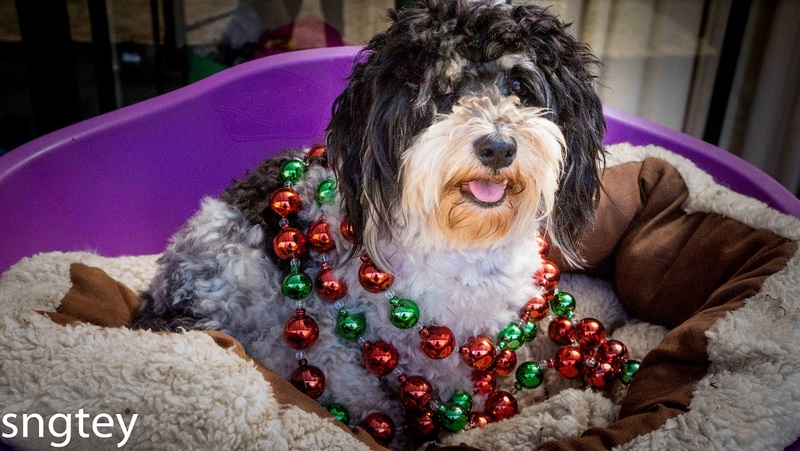 Ryan is a cheeky man who lives in a 'pet friendly' apartment in Double Bay, Sydney. He is very inquisitive and provided a helping paw to see what was in the fridge for dinner. 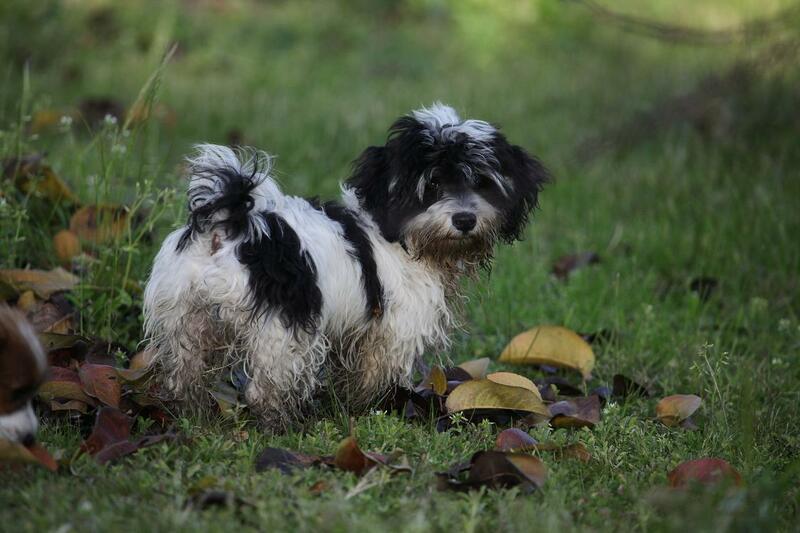 ChaCha has many acres to explore at his home in Sydney. 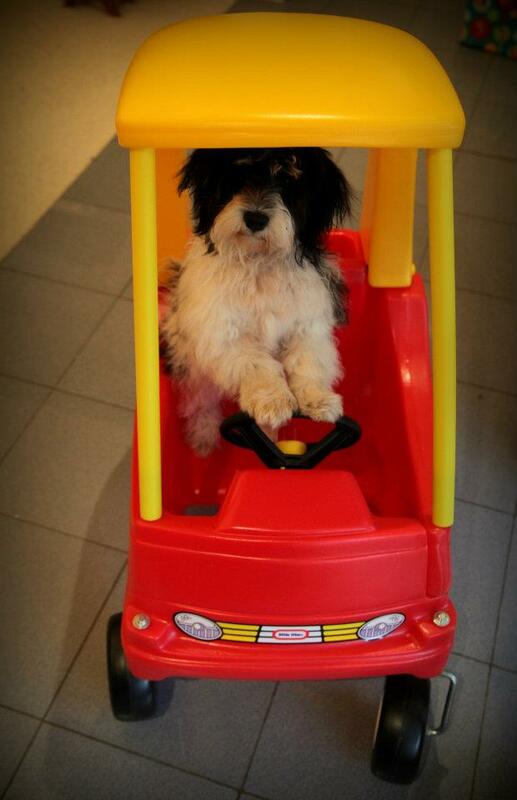 He is quick to learn new things and is currently putting in time to perfect his driving skills.